"Barley is rich in health-promoting carbohydrates, e.g. Beta-glucan, that aid digestion, reduce the risk of heart disease, diabetes and intestinal cancer. Tomorrow is the start of the Scottish Food & Drink Fortnight (3rd-18th September), which gives the entire country an extra excuse to enjoy the great food and drink available in Scotland. Scotland boasts some of the best natural produce in the world and great variety can be found in every pocket of the country. Much of it has benefitted from some pretty smart science along the way, whether it be in breeding, growing, processing or transportation, and we are proud to be part of the story. We will be marking Scottish Food and Drink Fortnight by shedding a little light on what we do here to support the food and drink sector, with recipes to showcase our contributions. Take barley, for example. 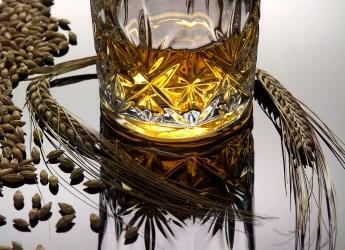 It is the main ingredient of whisky and beer, and a whole lot besides. The Institute is known worldwide as a leader in barley research, and is working along with partners from across the academic, growing, processing and food & drink sectors the first International Barley Hub to accelerate and broaden the development of this vital, globally-relevant crop. Barley is rich in health-promoting carbohydrates, e.g. Beta-glucan, that aid digestion, reduce the risk of heart disease, diabetes and intestinal cancer. It also has as much protein weight for weight as an egg, and is the UK’s second largest arable crop as well as Scotland’s first. To highlight his wholehearted support of the Scottish Food & Drink Fortnight, our Chief Executive, Professor Colin Campbell, shared his recipe of crunchy barley groats – these can be used to add a tasty malty, nutty flavour to salads, yoghurts, ice creams, desserts, mueslis and other breakfast cereals. Place in a shallow frying pan as a thin layer with sesame oil and fry until just start seeing barley pop (white specks will appear). Dry off oil and cool. Mill in a coffee mill to a desired consistency (rough chopped is best for adding crunchiness to other foods) and store in air tight container.